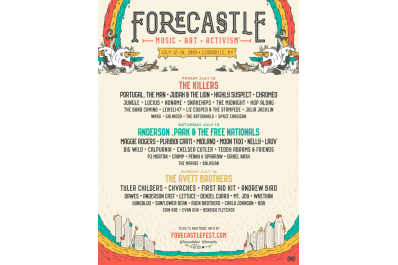 Mark your calendars, Forecastle returns to the Waterfront on July 12-14th, 2019! Music, Arts, Activism Music Festival in Louisville Kentucky at Louisville Waterfront Park. A limited allotment of Pre-sale tickets go on sale next Friday, December 14th at 10AM EST. Secure your 2019 weekend pass for as low as $38 down. 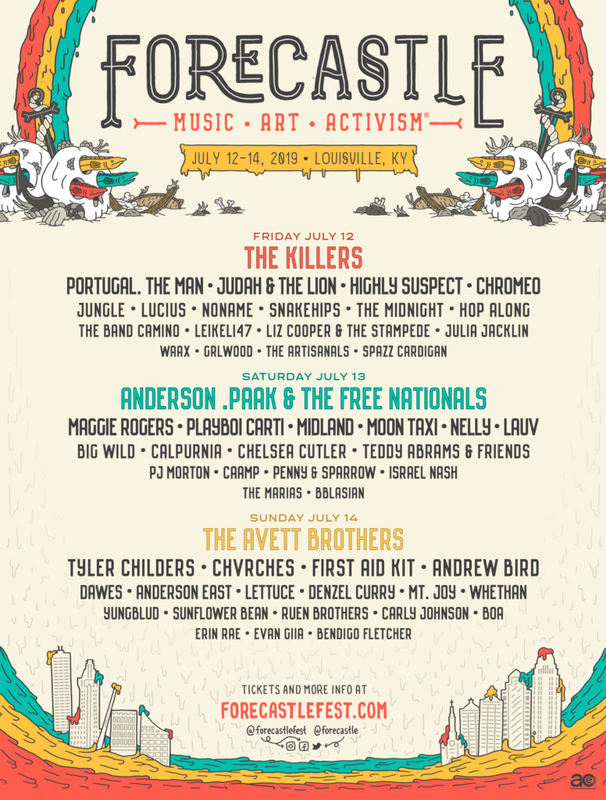 You don’t want to miss your chance to grab 2019 Forecastle passes at the lowest price possible! Explore your ticket options here. Price: On sale at 10 a.m. Wednesday at ForecastleFest.com with a limited quantity starting at $164.50 plus fees. see website. On sale at 10 a.m. Wednesday at ForecastleFest.com with a limited quantity starting at $164.50 plus fees. see website.